Quote: In 2013, to the chagrin of the U.S. government, Edward Snowden broke America’s laws of secrecy in dramatic fashion, unveiling metaphorical heaps of the NSA’s classified documents to the public at large. 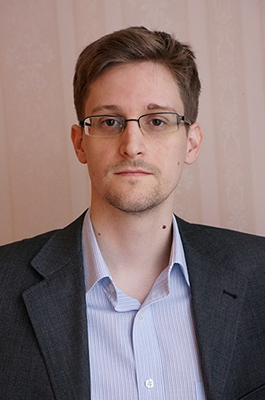 As explained in a number of interviews from his Russian refuge, Snowden believed that the world’s people shouldn’t be supervised incessantly, finding it logical to break the ice on the NSA’s most caged initiatives. So, it should come as no surprise, that Snowden himself is a fan of blockchain technologies and crypto. And as such, Snowden has cemented himself as someone that is near and dear to the hearts of diehard non-traditionalists, anarcho-capitalists, and zealot libertarians worldwide, a majority of which are advocates for blockchain and decentralized crypto assets. 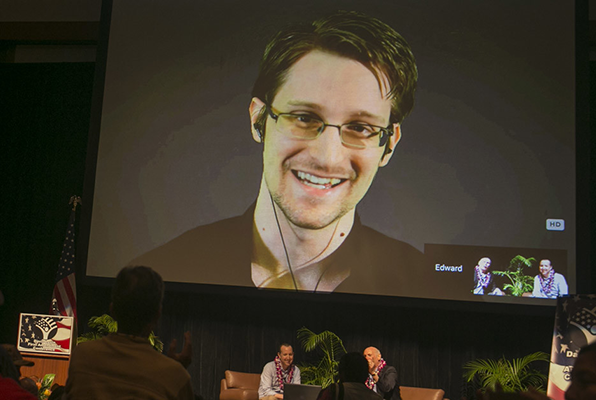 Since Snowden fled to Russia for asylum, the world-renowned whistleblower has appeared in a number of interviews and talks around the globe. Keeping in mind that his views of the world are in-line with Bitcoin’s ethos and raison d’être, many have asked the former NSA contractor about his thoughts on blockchain technologies as a whole. And while he has briefly explained his conjectures on the matter, via a transcript outlining a blockchain-centric candid conversation between Edward Snowden and his legal counsel, it appears he knows more than he may let on. Ben Wizner, Snowden’s personal lawyer, ashamedly asked the controversial figure about blockchain, noting that he “doesn’t really get it.” In an extended conversation, Snowden broke down the basic of a blockchain, conferring on what makes this newfangled data structure tick and, more importantly, the value of blockchains themselves. Snowden, likening blockchains to a “new form of database,” gave Wizner a single word to exemplify the issue that blockchains solve — trust. Snowden, remaining cautiously optimistic on the prospects of this innovation, said that for the “foreseeable future,” usurping such giants from their high horses through blockchain is nothing more than “wishful thinking.” However, he went on to acknowledge that “money is, of course, the best and most famous example of where blockchains have been proven to make sense,” leading him logically to the topic of Bitcoin. Although he pointed out that cryptocurrencies, namely Bitcoin, have “limited fundamental value,” Snowden then eulogized Bitcoin for its scarcity, censorship-resistant, and borderless nature. However, he was tentative to call Bitcoin “private money,” but rather, the world’s first “free money,” which is valued by the need for transactions without intermediaries. Keeping his penchant for privacy in mind, Snowden also brought up Monero and ZCash, alluding to his sentiment that he prefers the former because Monero is private by default. While he may be touting his opinion that cryptocurrencies should hold value, Snowden’s views on blockchain aren’t all sunshine and rainbows. Concluding his comments, Snowden told his lawyer that Bitcoin’s current Proof of Work (PoW) consensus mechanism is flawed, adding that these protocols are “destructive and slants the game in favor of the rich,” while adding that the rise of blockchains may lead to an over-transparent world, where everything can be traced.